Looking for a USED CGP-1260? Complete range of machining centers, CNC lathes, surface grinders, vertical lathes & profile grinding machines. 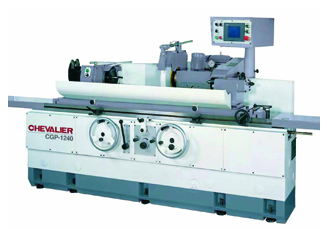 Looking to Purchase a New CHEVALIER CGP-1260? J & M Precision Products, Inc.
MAQUINARIA INDUSTRIAL CABRERA, S.A. DE C.V.
Arabian Projects & Supplies Co.
7th Floor, Abul Hasan bldg. Sanki Machine Tools (India) Pvt. Ltd.
Drass Mechatronics & Machinery Pvt Ltd.